(Newser) – "It's just a systematic way of getting rid of all the disabled people." That's how the dad of a former Walmart worker feels about the retailer's recent decision to get rid of its greeters at 1,000 of its stores by the end of April. 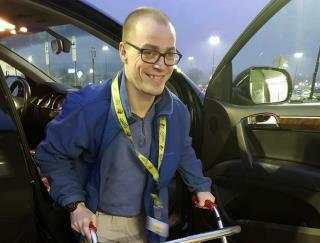 In their place, per NPR, will be "customer hosts," roles that require a new set of qualifications, such as being able to lift 25 pounds, collect carts, and even climb ladders—requirements that often can't be met by people with disabilities. The legalities are complex, as the Americans With Disabilities Act allows companies to change job descriptions based on its needs, though they also need to try to accommodate disabled workers. An employment lawyer notes individual businesses can personalize how they handle things, include finding other roles within the company for an affected employee, modifying any new changes for that worker, or even just grandfathering the worker in. So they want 'greeters' who can do other jobs for greeter pay. Not to worry, AOC and Bernie will save the day by taxing the crap out of everyone else! Yay!